To support effective decision making, improve the care provided to patients, and cut the costs of healthcare provision, healthcare data must be readily available to all healthcare providers. While other industry sectors have taken great strides toward improving the flow of information to increase efficiency, the healthcare industry still lags behind other industries. There are still many barriers in place which are preventing the meaningful exchange of health information. There is currently considerable confusion about the restrictions imposed by the Health Insurance Portability and Accountability Act (HIPAA) and state laws on health information privacy. State governments in particular require assistance navigating these rules and regulations so they can play their part in improving the flow of healthcare data and can more effectively drive forward policies that support a fully interoperable nationwide healthcare system. The Department of Health and Human Services’ Office of the National Coordinator for Health Information Technology (ONC) previously awarded a cooperative funding agreement to the National Governors Association (NGA) to evaluate interoperability barriers and identify steps that could be taken to improve the flow of healthcare data within and among states. NGA interviewed more than 90 state health policy officials, provider organizations, payers, and health information organizations to gain insight into the current problems preventing health data flow. Federal, state, and healthcare industry stakeholders were also brought together to discuss the issues that were preventing meaningful exchange of healthcare data and to provide some insight into how those problems could be resolved. 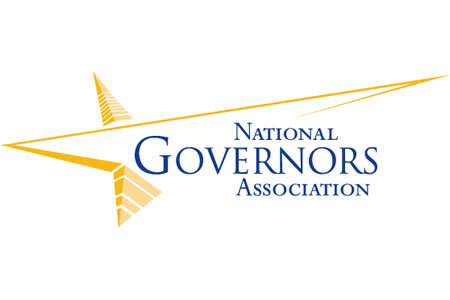 NGA has now published a roadmap for governors, senior healthcare policy officials, state lawmakers, and legislative councils. The roadmap identifies the key barriers that are preventing meaningful exchange of health information and provides useful advice on how those barriers can be removed. The roadmap outlines a 5-step strategy that can be adopted by states to improve information flow between healthcare providers and includes case studies of successful strategies that have been adopted by states. In addition to publishing the roadmap, the NGA has started helping states to execute its recommendations and will be issuing a progress report in 2017. The roadmap – “Getting the Right Information to the Right Health Care Providers at the Right Time: A Road Map for States to Improve Health Information Flow Between Providers” – can be viewed on this link.